JJHS presents Seussical the Musical, Jr.
A few weeks ago, the Jenison Junior High Thespians traveled to our elementary schools to give students a sneak peek of what was to come in their show, Seussical the Musical, Jr. While they used limited props and were unable to travel with their amazing set, this is always a fun experience for the actors and audience alike and sparked great excitement. Since then, the finishing touches have been finalized and the JJHS production officially opens the curtain tonight! Led by Director – Holly Florian, Music Director – Sarah Hazel and Choreography Director – Carol Johnson; this group of dedicated and passionate students (on stage and many hidden behind stage) have demonstrated amazing team work and put their talents to work creating something very special. Treat yourself this weekend and make time to witness this spectacular show! I promise, you will leave your seat inspired to follow in Horton’s footsteps and make the world a better place! Show times are January 24 and 25 at 7:00pm and January 26 and 27 at 2:30pm. Tickets are available here! JJHS Language Arts Teachers Alana Kooi & Deb VanDuinen Rise to the Top! 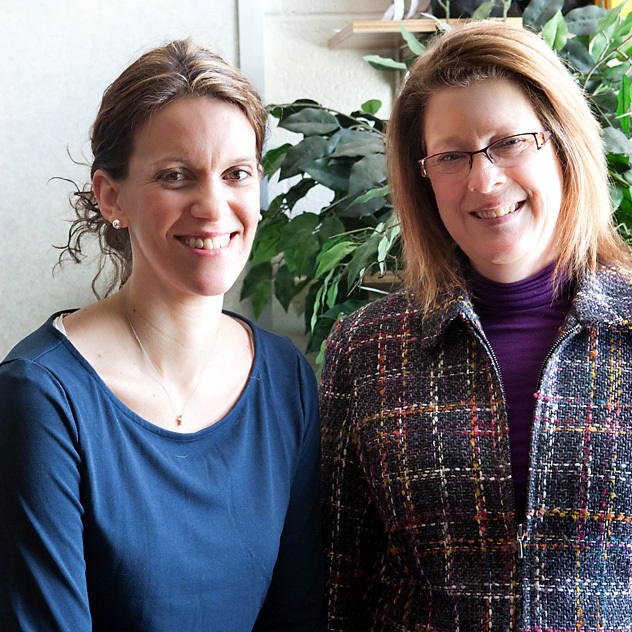 For the past several years, Jenison Junior High Language Arts teachers Alana Kooi and Deb VanDuinen have been focused on a single goal: improving Language Arts instruction for their students and empowering other educators across the state and nation to do the same. Together they have studied research related to how students learn to read and write, have poured over methodologies, and have applied new instructional techniques in their classrooms. Not afraid to ask hard questions, they have challenged traditional perspectives in favor of approaches that have been proven with data. Because of their determination to excel, Mrs. Kooi and Mrs. VanDuinen have emerged as leaders in their field, recently receiving certification as consultants with the National Writing Project. They have additionally been awarded a grant in “Leadership and Learning” from the NEA and have completed work with the Lake Michigan Writing Project. Aside from working locally with West Michigan districts as the Ottawa Area Intermediate School District, Mrs. Kooi and Mrs. VanDuinen have also presented at the Michigan Council of Teachers of English conference (MCTE). “We’ve been privileged to work closely with teachers in several districts in the area over extended time — it’s exciting to build these relationships and see their enthusiasm about teaching writing!” they said. Both women say the most important part of their work is the personal growth they’ve experienced along the way. Being well-read and aware of current developments in research gives them the tools needed to individualize their instruction and offer “specific moves” for their students to use in their writing. This also lays the foundation for stronger writers who are able to work more independently in a workshop-style classroom format. This summer the team will be serving as facilitators for the Michigan Association of Intermediate School Administrators (MAISA). During the conference, Mrs. Kooi and Mrs. VanDuinen will be part of a team tasked with the enormous undertaking of aligning all of Michigan’s K-12 classrooms with the Common Core standards. They hope to achieve this with a student-centered approach to reading and writing. Please join us in applauding Mrs. Van Duinen and Mrs. Kooi for modeling life-long learning and for their commitment to excellence in the classroom!